Swimming pools or lap pools are found in some landed homes, cluster houses or even apartments in Singapore. While swimming pools offer a cool respite from the relentless heat in Singapore, the costs of maintaining a swimming pool and the hazards presented by the pool may prompt some homeowners to decommission their pool. Decommissioning the pool essentially means that you no longer intend to use the swimming pool as a pool. Some of the costs of maintaining a swimming pool include regular water treatment to keep the water clear and free of algae and maintaining the pumps to ensure that the water is properly filtered. Failure to keep the water clean could result in the swimming pool becoming a mosquito breeding ground. We’ve also come across homeowners with young children who decide to decommission their pool because they are unable to keep monitoring their children to ensure that they don’t fall into the pool unwittingly. Other homeowners choose to decommission their swimming pools for the very pragmatic reason of adding more space to their homes, especially if they don’t often use the pool. 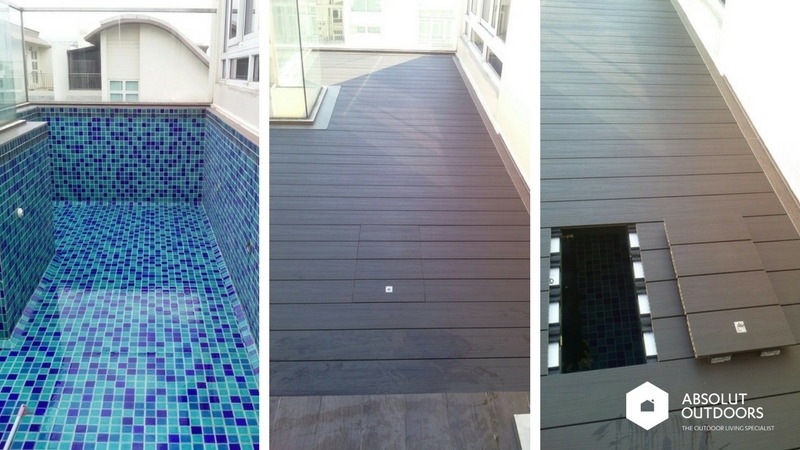 We recently worked on a decommissioned swimming pool at a low-rise apartment in the eastern part of Singapore. 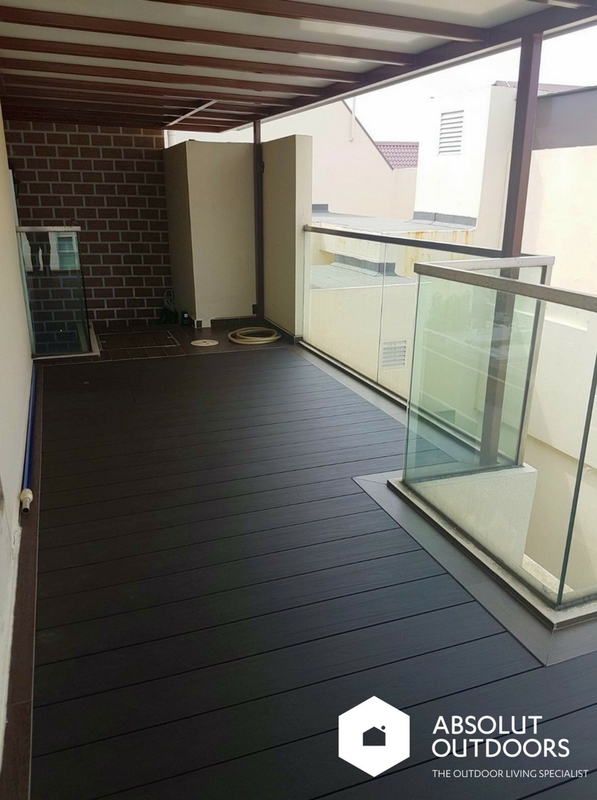 The owner had gotten a swimming pool specialist contractor to decommission the pool and engaged us to cover the pool with Absolut Wood decking. Absolut Wood, is a processed wood product that retains the beauty of natural wood, but doesn’t have the problems associated with natural wood decking. It is ideal for Singapore’s hot and humid climate. The swimming pool is situated right outside their apartment. We needed to provide access points for the homeowner to access the space below so that they can carry out any necessary maintenance. This homeowner covered the space entirely with decking, but you could also choose to fully landscape the place with artificial grass too. 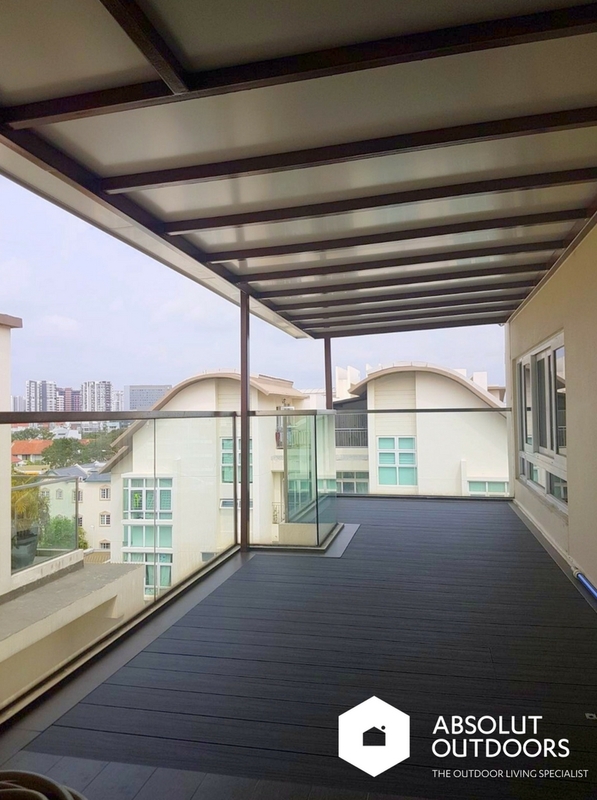 As you can see, the homeowners now effectively have a huge extra balcony where they can chill out, entertain, use as a drying yard, and much more. The solution we installed can be removed easily should the homeowners decide that they wanted to re-commission their swimming pool. Or in the event that they decide to sell the apartment and the new owners wanted a pool, they would have one. We are sharing this project with you so that you can have more ideas on how to manage a seldom-used swimming pool. If you’d like us to propose some outdoor covering and flooring solutions for a swimming pool that you plan on decommissioning, please contact us at enquiry@absolutoutdoors.com. We’d love to help!